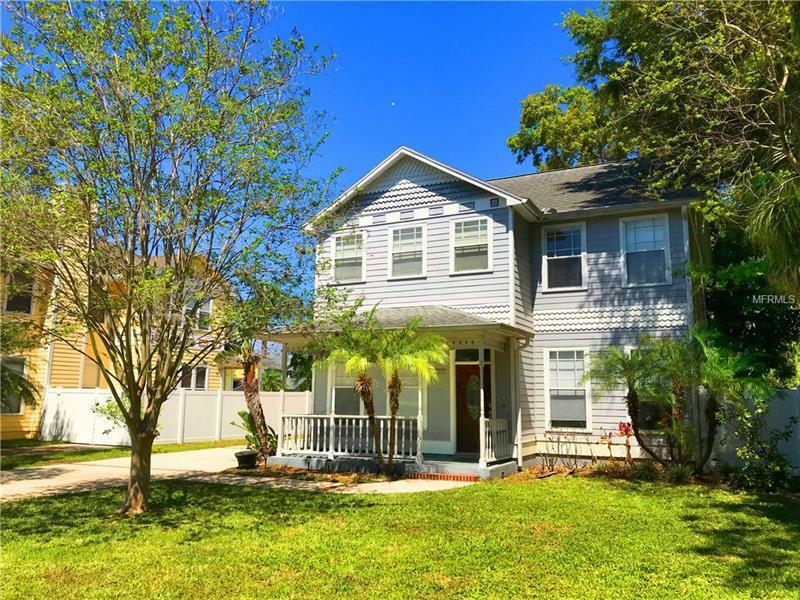 Impressive South Tampa two story home located in the rapidly up and coming Port Tampa Area. 1st floor updated flooring includes Brazillian Cherry hardwood throughout with decorative tile in all baths. The large kitchen offers granite counter tops, tall rich wood cabinets, stainless steel appliances and breakfast bar. Living and dining rooms are light and bright. The large family room overlooks an inviting outdoor paved patio with water fountain. The 3 very nice sized bedrooms on the 2nd floor feature adjustable closets. Upstairs flooring is a contemporary style carpet in all bedrooms. Laundry room on the 2nd floor is easily accessible for clothing and linen needs. Sizable back yard equipped with low maintenance vinyl privacy fence. 2 car garage has a new garage door opener 2017. This neighborhood is close to MacDill Air Force Base and nearby restaurants and shopping. Very near the Cross Town Expressway for easy and quick access to downtown, beaches and just minutes away from Westshore Plaza, International Plaza and Tampa International Airport. New AC units 2017. Masterbedroom has large walk in California closets and cast iron clawfoot tub in master bath.